Eliz Royale creates timeless and Functional Pieces that can be worn at work, church or during play time. Every piece from Eliz is designed firstly for the comfort of the customer then to compliment her style. 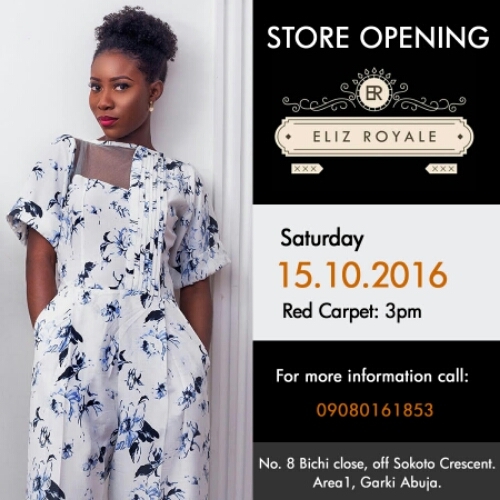 ​ ​The brand is all about Creating a L​ifestyle, Dynamic, Colorful, Timeless and Bold..
​Eliz Royale latest collection comes in ​4​ categories: Office Chic, Cocktail, Casual and Street Chic. This collection tells a story with plain and patterned fabrics. The Plain and Pattern collection is inspired by our Brand Ambassador, Amuta Stone. Join us this Saturday for the official opening of our store..